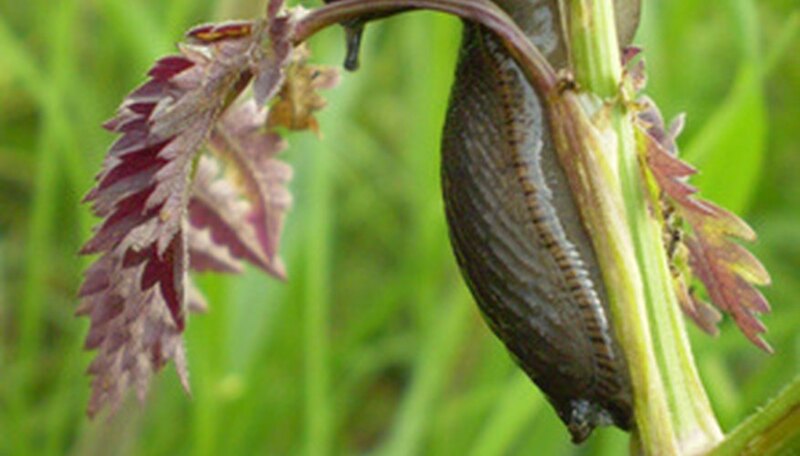 Slugs are notorious for damaging flowers by ravishing their foliage. Impatiens (Impatiens wallerana) are no exception, and a severe slug infestation hinders the growth potential of this annual flower. Knowing how to protect and prevent slugs from invading impatiens gives the flowers a fighting chance against this slimy garden pest. 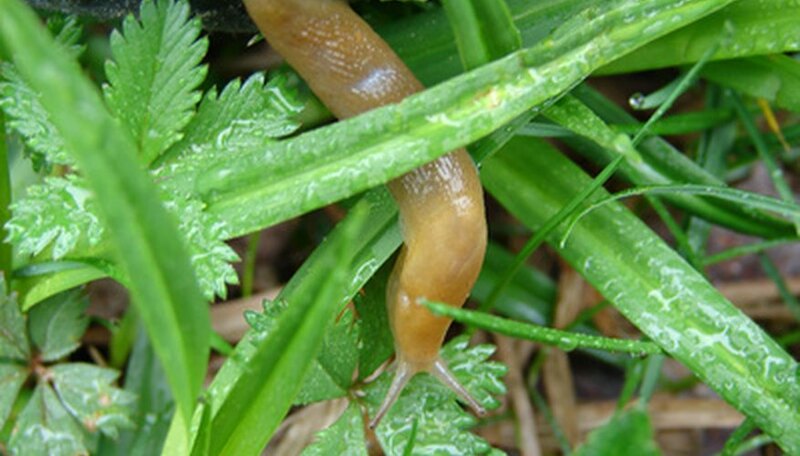 Slugs are often thought to be a regular garden insect, however, they are classified as gastropods. Adult slugs lay three to forty eggs at a time. They thrive in high humidity environments, and are especially active on cloudy and foggy days, or in the evening. The first sign of a slug infestation is a slimy trail left behind on impatiens’ foliage. Other signs include irregular holes in the impatiens’ foliage. Prune away damaged leaves from the impatiens. However, if the entire plant is infested with slugs, discard the plant. If the impatiens have minor damage, handpick the slugs off of the plant. Place slugs in a container of soapy water and discard. 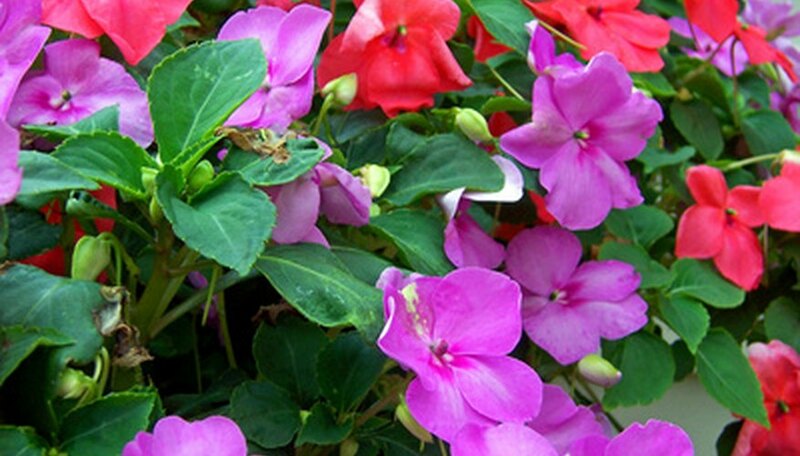 Garden centers sell insecticides to spray around the impatiens' soil. Choose a spray that specifically indicates impatiens on the bottle. Slugs are mostly active in the evening. Watering early in the day gives the impatiens’ foliage enough time to dry out before night. Clean out flower beds where impatiens are planted every spring to remove slug eggs. Some gardeners sprinkle salt over the slugs to get rid of them. However, too much salt on the impatiens may cause more harm than good. Likewise, when using chemical sprays, do not spray directly onto the impatiens' foliage. Mulch planted around impatiens helps maintain moisture levels around the roots. However, excess mulch may foster a high humidity environment, thus inviting slugs to the impatiens. Add no greater than a 1-inch layer of mulch around impatiens if desired. Do Rabbits Eat the Mexican Evening Primrose?